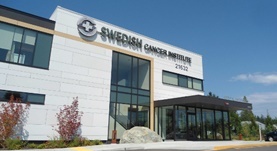 Dr. Vallieres is the Director of Surgery at the Swedish Cancer Institute in Seattle, Washington. In 1982 Dr. Eric Vallieres graduated from the University of Laval Medical School in Quebec. At the University of Toronto in Ontario, Canada he completed a general surgery residency. In 1989 Dr. Vallieres finished his fellowship at the same university. After completing a second fellowship in Thoracic Surgery at the University of Bordeaux, Dr. Vallieres became an Assistant Professor of Surgery at the University of Alberta in Edmonton. He accepted a similar position at the University of Ottawa in Ontario later. Dr. Vallieres has been surgical director at the Swedish Cancer Institute since 2004. He specializes in General Thoracic Surgery, also very familiar with mesothelioma, lung cancer, esophageal cancer and pleural diseases. Dr. Eric Vallieres has contributed to 2 publications.